The unit had design the analog idle input short circuit for avoid the disturb between different sources. The working theory : Without the idle input short circuit ,if the input 5 and input 4 had connect two extra DACs, while users select the either input 5 and input 4 , the another input signal will fire through the circuits and mix into the using signal, even though this signal is weak but still can degrade on the sound quality. 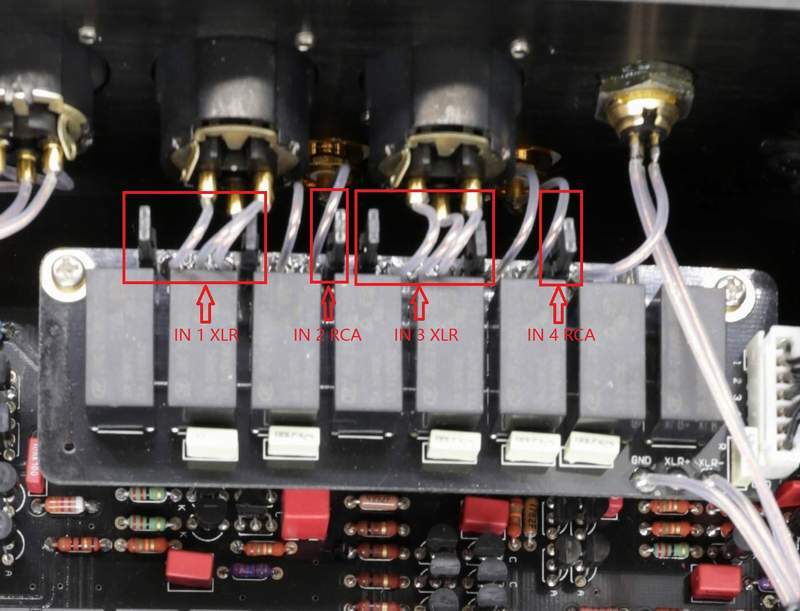 With the idle input short circuit function : if user select either the input 5 and input 4, the another input signal will short circuit then no any signal fire through circuits , can keep the sound quality had not degrade. 2, The same extra source connect to the unit different inputs at simultaneity. Select the Master 9 output model , display "H" mean for headphone output, display " P" mean for preamp output. 1, The source output level <1.25V RMS (RCA) or <2.5V RMS (XLR) . 2, The headphone have very low sensitivity . Select the Master 9 inputs from IN 1 to IN 5. Select the Master 9 volume control . Select the Master 9 if have the volume memory while restart . The display auto dark : Push into the jumper is auto dark .Please operate the jumper while the unit power off (Available in the products later than 1st Aug.) .